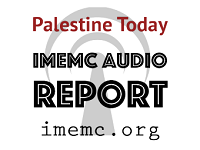 Welcome to this Week in Palestine, a service of the International Middle East Media Center, www.imemc.org, for February 11, to the 17, 2017. This week Israeli PM Netanyahu makes his first visit to the US after Trump election, meanwhile three Palestinians are reported killed this week in Gaza and troops demolish homes in the West Bank. These stories, and more, coming up, stay tuned. Let’s begin our weekly report as usual with the nonviolent activities organized in the West Bank. On Friday Israeli soldiers attacked nonviolent protests organized in West Bank villages using tear gas, rubber-coated steel bullets. In central West Bank, nonviolent protests were organized in the villages of Bil’in and Ni’lin. Troops used tear gas and rubber coated bullets against the unarmed protesters. Both Bil’in and Ni’lin villagers and their international and Israeli supporters managed to reach the Israeli wall built on local farmers lands. This Friday Bil’in villagers and their supporters marked the 12th anniversary of the nonviolent resistance of the wall and settlements in Bil’in. At the village of Kufer Kadum, in northern West Bank, Israeli troops used live rounds and tear gas to attack villagers and their international and Israeli supporters. Many residents were treated for the effects of tear gas inhalation. Troops also fired tear gas at residents homes causing damage. Also on Friday, at least 200 Palestinian and Israeli peace activists marched near the southern West Bank city of Bethlehem in the freedom march. The protest which demanded an end to the occupation and halt of Israeli Palestinian land confection policy, was organized by combatants for peace and the standing together collation. Protesters marched along the settlers’ road 60 until the tunnel checkpoint between Bethlehem and Jerusalem. The US President, Donald Trump, welcomed Israeli Prime Minister Benjamin Netanyahu into the White House on Wednesday and the two reminisced about the long relationship between their two families. The US President took the opportunity to announce, in a single sentence, a major shift in US policy in the region. Trump made it clear that the two-state solution is not the only solution on the table, and he added that he will be backing the solution the Palestinians and the Israelis like. President Trump’s announcement contradicted decades of U.S. policy toward Israel and Palestine. While former President Bill Clinton was the first to officially articulate the position that the U.S. supported two states of Israel and Palestine living side-by-side on the 1967 borders, a similar policy was supported by Presidents Jimmy Carter, Ronald Reagan and George Bush Sr.
Trumps has also denounced what he called unfair and one-sided actions against Israel in the UN, referring to the latest United Nations Security Council resolution 2334 on the settlements issue. He insisted that a deal can only be reached through direct negotiations between the two sides. Negotiations however, have been stalled for a number of years due to the ongoing settlement activities in the West Bank. As a matter of fact, since the time that the two-state policy was made official in 1993 with the Oslo Accords, the Israeli government has officially and unofficially expanded its colonial settlements on illegally-seized Palestinian land in the West Bank. Palestinians have argued that these actions by Israel have made peace negotiations virtually impossible. In response to the meeting between Netanyahu and Trump, Palestinian chief negotiator Saeb Erekat said that the only way a ‘one state’ solution would be possible is if Palestinians were to have equal, democratic rights in such a state. For his part, Netanyahu re-stated his position that the Palestinians must recognize Israel as a ‘Jewish state’, essentially denying their own identity and their own historic claim on their land, in order for ‘peace’ to be possible. Following the meeting, commentator Ali Abunimah wrote, “Conventional opinion views any Trump abandonment of the two-state solution as capitulation to Israel’s far right wing that is pressuring Netanyahu from within his coalition to annex the West Bank outright. At least two Palestinians have been killed in tunnels under the besieged Gaza Strip on Monday. The al-Qassam Brigades, the armed wing of the Hamas movement, said that one of its fighters, 22-year-old Ahmad al-Barim from the town of Khan Yunis, was killed when a “resistance tunnel” collapsed. While al-Qassam did not specify where the tunnel was located, the use of the term “resistance tunnel” generally indicates tunnels between Gaza and Israel. Separately, Mumin Abu Hamid, a Palestinian worker, was killed on Monday when Egyptian forces flooded a smuggling tunnel between Egypt and the blockaded Palestinian enclave. Since Israel placed the Gaza strip under siege back in 2006, the tunnels between the coastal enclave and Egypt became the main source of food, medicine, and fuel supplies to the two million people living in Gaza. Also in Gaza this week, The Palestinian Health Ministry reported, Thursday, Samed Abu Shanab, 29, died at an Egyptian hospital from serious wounds he suffered after Israeli soldiers shot him in 2005, near Khan Younis, in the southern part of the coastal region. Elsewhere, the Israeli army escalated demolishing of Palestinians homes in the West Bank. Two Palestinian homes were demolished on Wednesday morning by Israeli forces at the town of Hizma in Jerusalem district. Israeli troops stormed the small community and leveled a house and adjacent room that belongs to Abed Alaziz family leaving all eight members of the family homeless. Moreover soldiers destroyed an under contraction home that belongs to Uthman family from the town. Also on Wednesday, Israeli forces demolished on Wednesday a house in the Bedouin village of Al Zarora in the Negev. The demolishing left a disabled woman on a wheelchair homeless, local sources reported. Israeli soldiers invaded, on Tuesday morning, the town of al-‘Eesawiyya, in occupied East Jerusalem, before forcing a family of eleven out of their home, and demolishing it. On Tuesday at dawn, the army demolished an under construction home in the al-Kharrouba area, in the al-‘Eesawiyya town, under the pretext of being built without a permit. Since the start of 2017 Israeli occupation forces have demolished 177 Palestinian structures in the West Bank, The UN reported. Also this week, Israeli forces conducted at least 89 military invasions into Palestinian communities in the West Bank and in East Jerusalem. During these invasions Israeli troops abducted at least 59 Palestinian civilians. For IMEMC News this is Ghassan Bannoura. And that’s all for today from This Week in Palestine. This was the Weekly report for February 11, to the 17, 2017. From the Occupied Palestinian Territories. For more news and updates please visit our website at www-dot-imemc-dot-org, This week’s report has been brought to you by Sa’ed Naji and me Eman Abedraboo-Bannoura.